One of HTC’s VPs, while speaking at a private conference in Seattle today, said that at one time, battery life and mega 3000mAh batteries were areas of focus and on their roadmap. But after doing research with consumers last year, they came to the conclusion that people actually care more about having a thin phone than one that can last all day long. I don’t know about you, but this is semi-surprising in that battery life is one of the most talked about subjects here on DL. Rarely do we say, “Hey, we love thin phones!” or “Man, I wish this phone was thinner!” Thin seems like something that we expect now since it is 2012. Instead, we are looking for manufacturers to do what Motorola did with the RAZR MAXX and figure out ways to boost battery life while adding little-to-no thickness. And not that we all want to walk around with tanks in our pockets instead of easily pocketable devices, but a bit of girth to a device that can last for 2 days isn’t such a bad thing. 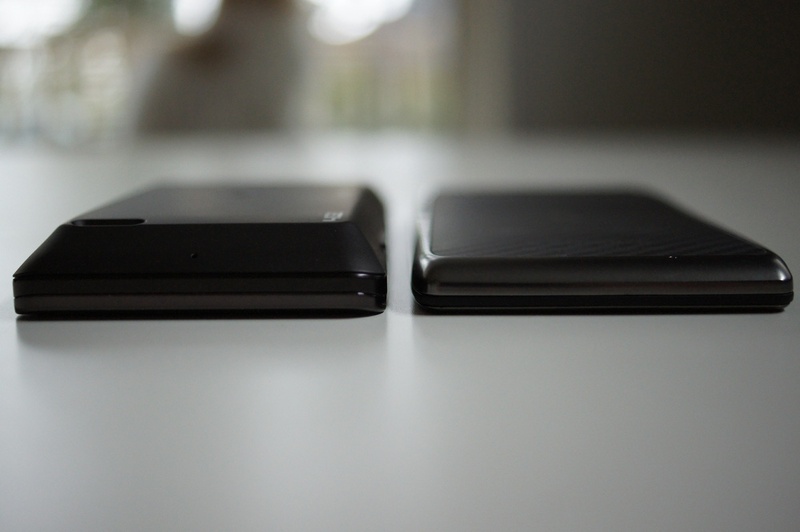 Thin phone or longer battery life? Thicker phone with longer battery life.